Ideal clothing rack for tight spaces! 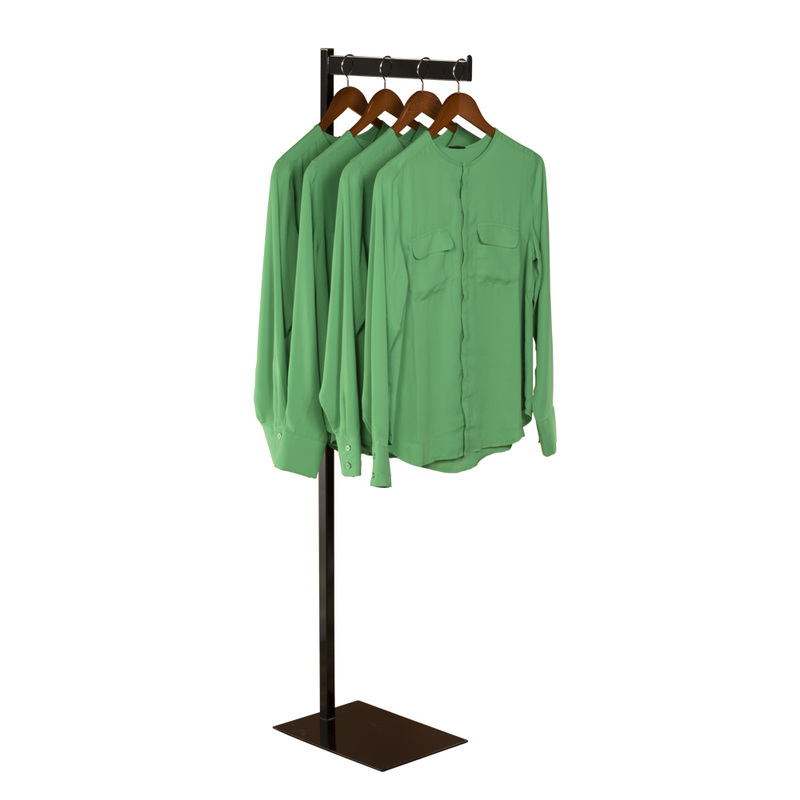 This compact 1-way retail clothing rack works perfectly with small space. With a steady 14 in. x 10 in. base this floor standing unit can be set against the wall as a convenient coat rack. Height is adjustable in 3 in. increments from 46 in. to 73 in. Comes with one 16 in. straight arm and one versatile 6 in. mini arm for other display options. For more pieces, we invite you to take some time to review our extensive array of retail clothing racks for sale at Specialty Store Services now.